Now that February is around the corner, we thought it would be nice to share some ideas on how you can spruce up your bedroom for this month of love. After all, what better way to celebrate the people you care about the most? Below are three different ways you can decorate your bedroom walls for this upcoming romantic season. One easy way to update your bedroom is to add wall decal stickers. 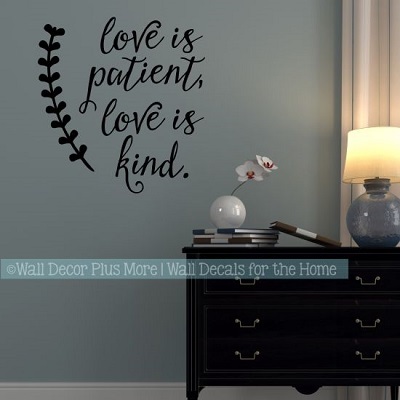 You can express how you feel toward your loved ones with a wall decal that has a romantic quote or image. The temporary decals are easy to apply and remove, which can come in handy if you live in an apartment or rent a home. Our wall decals also won't cause any damage to the surface of your wall. Do you have any artistic skills? 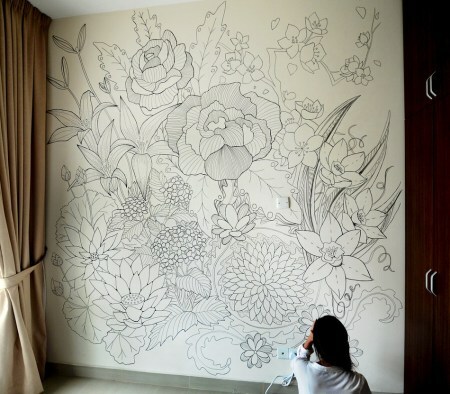 If so, you can also try to unleash your inner Picasso and paint a mural on your bedroom walls. All you would need are some brushes and paint. If you don't have any experience painting a mural, don't worry. You can also hire a local artist to do it for you. Just be prepared to paint over the mural before you move out. Another simple way to showcase your love is to gather sentimental photos and frame them on the wall. There are many unique ways you can use photos to decorate your space. Did you recently go on a road trip with your best friend and have some amazing pictures as a memento? Or maybe you have a photograph of your grandparents that you treasure? Regardless of who you want to showcase in the picture frame, the main idea is that you are celebrating everyone that you care about.